During our daily routine of flipping through social media, jumping from Instagram to Facebook and many other platforms to keep ourselves updated with all the bridal trends, jewellery designs and more. We noted how Dia Mirza carries with her bucket-loads of bridal inspiration – whether on the ramp, at a movie premier and even at her own wedding. Hence we’ve put together some of our favorite looks that are sure to inspire the celeb bride in you! From bridal to sangeet lehengas, from sister of the bride inspiration to cocktail night – this gorgeous diva has all the inspiration you need. Pinkish-red sharara set paired with a candy pink embroidered dupatta – perfect for that outdoor mehndi day! Dhoop-chhaon styled orange lehenga with gorgeous embroidery on the border. Paired with a pretty net dupatta with sequins work. Dia knows how to do shaded just right. Classy tones of black and white on a shiffon saree can never do you wrong! 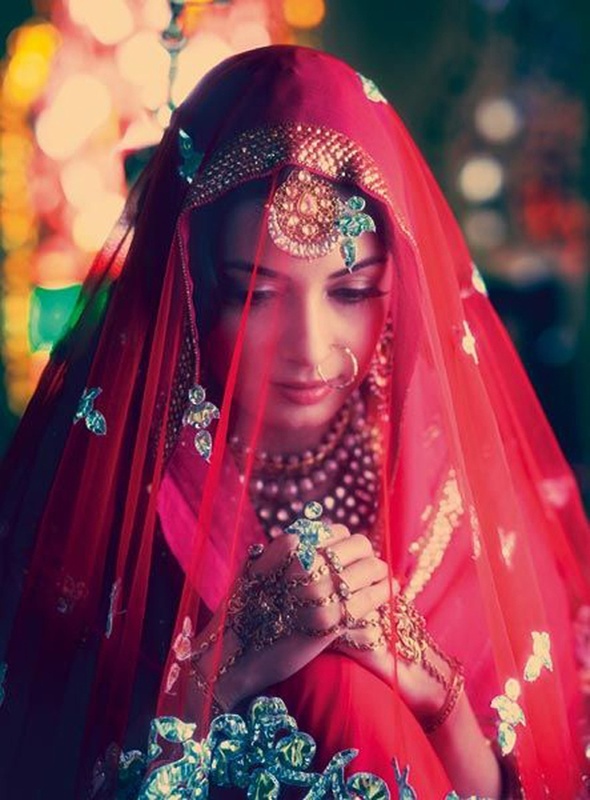 Dia mirza made a gorgeous bride on her own wedding day too. Dressed in a stunning combination of emerald green and gold, she looked like true royalty.